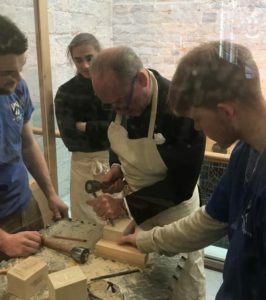 We had another successful Livery Showcase event yesterday, with 900 pupils attending it and given the opportunity to carve the initial letter of their first name on a piece of stone. 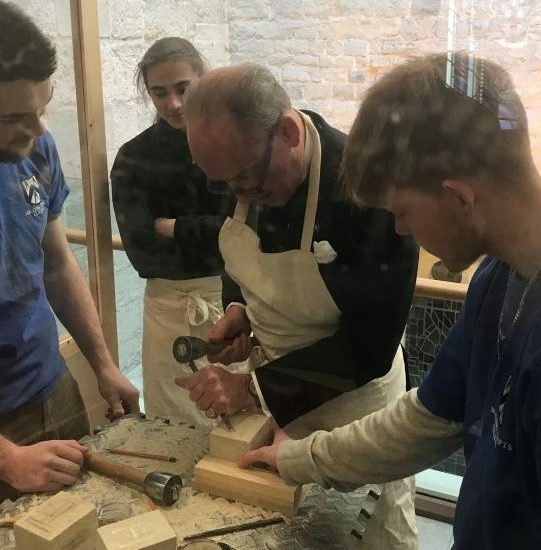 Freeman Nigel Gilkison sent three students from Building Crafts College (BCC): Yeoman Mason Jake Fielding and Dexter Harrison who are in the final year of their three year course and George Johns who is in his first year. They all worked hard, arriving from about 7:30 am onwards to be ready to help set up the stand, which they assembled and dismantled with the help of FM Conway Ltd who very kindly collected and delivered the stone, equipment and a protective screen from and to the Building Crafts College. The Lord Mayor, Alderman Charles Bowman, took part bycarving his initial on a piece of stone and Yeoman Jake Fielding finished it off for him and added the letter ‘S’ on the reverse for his partner Samantha. The Lord Mayor was presented with it when he left the event. 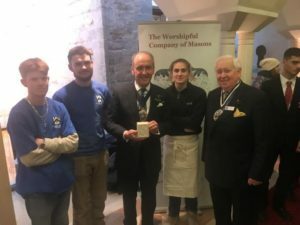 The Masons’ Company Charitable Trust very kindly sponsored the event by paying the participation fee. 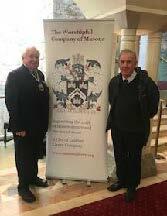 And finally, a big thank you to the Building Craft College for all their support and to Liveryman Alan Kraven and Freeman Nigel Gilkison who worked heroically before the event to complete all the paperwork !